ECS offers several options for Dual Fuel Systems. 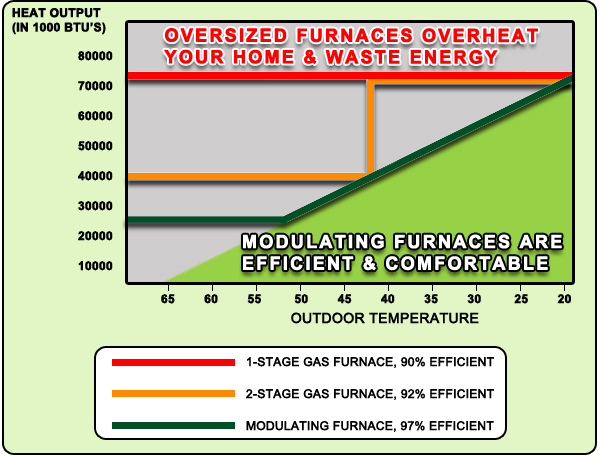 A properly designed and managed Heat Pump with Electric Furnace and Gas Heat can provide more efficient heating in larger homes and commercial areas. Gas heat is more comfortable soloution for older buildings that lack proper insulation and energy efficient windows and doors. 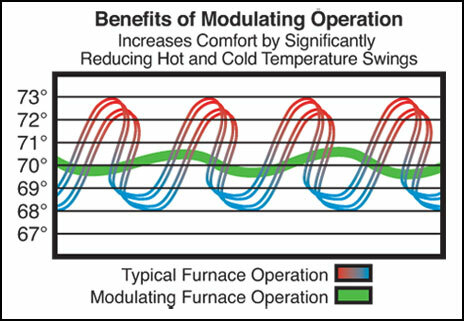 Gas heat is 50% less expensive than heat strip auxhillary electric furnace heat during extreme cold weather conditions Below 30 degrees F. Heat Pumps are 300 percent more efficient than gas heat in temperatures above 30 degrees. 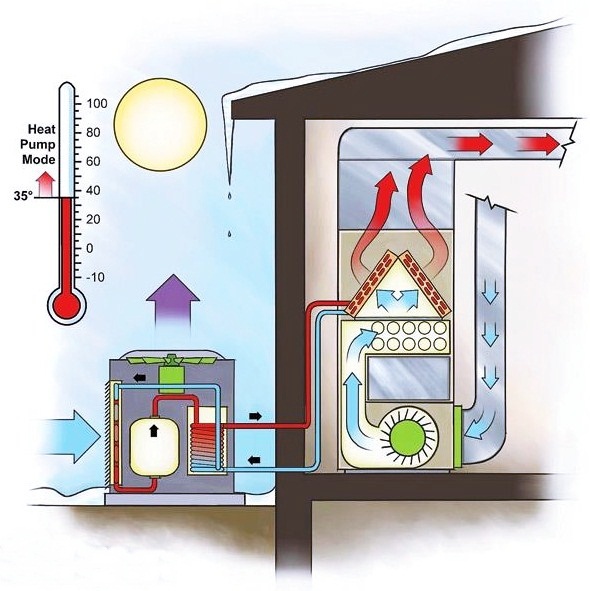 All Heat pumps are inefficient below 20 degrees and require a supplemental heat usually 208 Volt electric Furnaces . A Dual Fuel System uses gas or oil as a supplemental heat source providing warmer air in colder conditions costing 50 percent less to heat the same area if electric heat is the only source. The return on investment on a Dual Fuel System is 5 to 6 years depending upon equipment and installation costs as well as the regional energy costs for gas and electricity. Smart thermostats and WIFI Energy Management Systems for Homes and Business Systems can reduce energy costs by monitoring the temperature of your home or business from a remote location when needed. 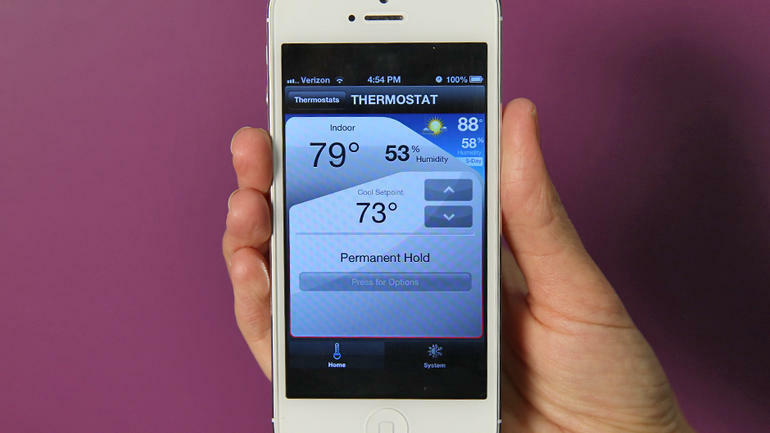 We offer several solutions to include: Programmed thermostats, Multi Zone Control , Remote Access control . Lyric App. Smart Phone access. Smart Thermostats.